Tommy Hilfiger is known for the red, white and blue all-American looks but today I wanted to show you the versatility of the brand's Summer pieces by bringing in shades of yellow and the oranges to brighten up my wardrobe. When styling an outfit, I usually tend to style around the piece that I'm most drawn to and in this case it was this skirt because of the colorful stripes and most importantly, the fit. I was starting to do my usual routine of pairing it with one of their collared shirts, but thanks to Ian at the Fashion Valley Tommy Hilfiger location, he recommended this gorgeous yellow lightweight sweater as a layering piece. Alas, my outfit came together beautifully with a mix of textures and a cool prepster vibe. A big thank you to Tommy Hilfiger, especially the Fashion Valley location, Ian and the staff for their help! Stay tuned as I share another look wearing Tommy Hilfiger pieces! hello hun..cute outfit... wanna follow each other? just tell me if u follow me, then i'll follow u back immediatley. These colors are absolutely amazing.Nice styling! I love the spring colors! So chic! I love the bright fun colors!!! Love this TH look! 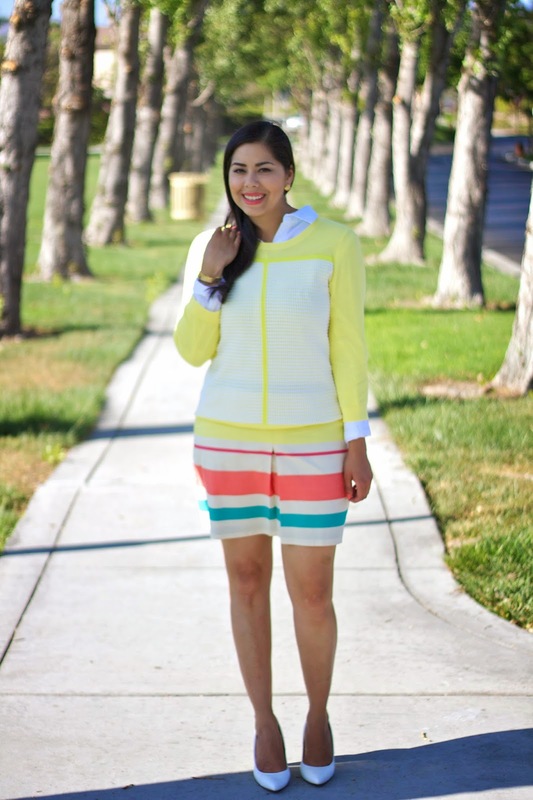 Great color block styling for summer. Such a pretty outfit you look awesome. Lovely pucs too. The colors are so pretty together! Love the preppy look! The colors are so fresh, summery classy look. It is fun to see again how you style the top next time. Thank you Paulina for stopping by my blog. Stay in touch. Very nice skirt and bracelets..
You look like a character from mad men! You look lovely! I love preppy styles, and that skirt is a show stealer! Sounds like you had a great experence shopping tommy hillfigure! 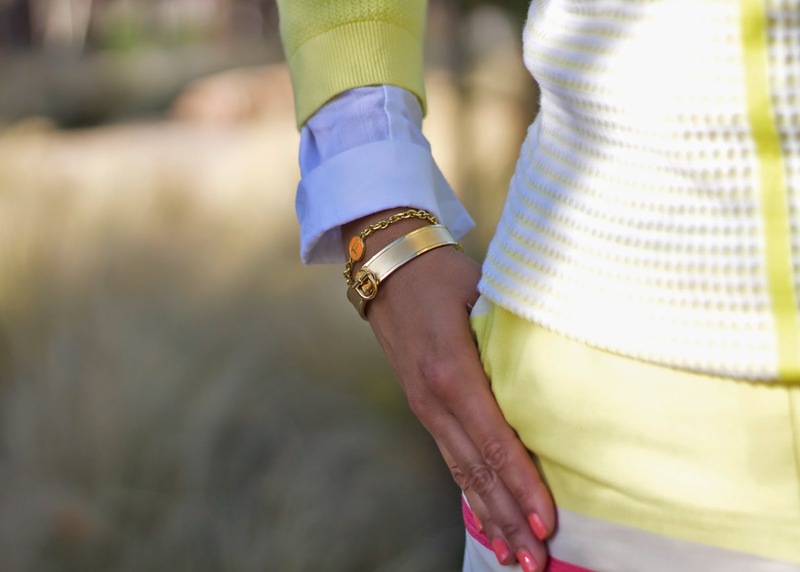 I love the colors and layering of this outfit.